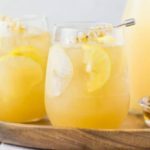 With fruity pear, warm ginger, a hint of honey sweetness and a generous splash of boozy bourbon, this Ginger & Pear Bourbon Cocktail is a perfect way to celebrate early fall! Happy Thirsty Thursday, my fourth favorite day of the week! 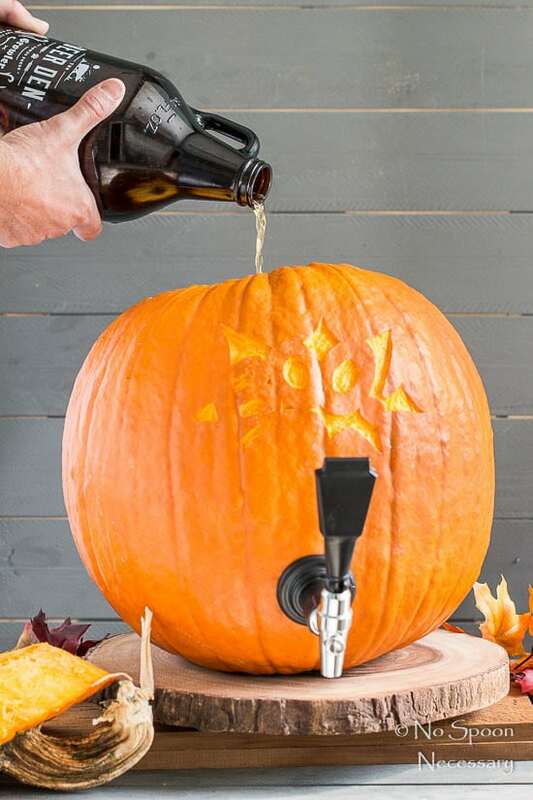 Anyways, before we get to today’s early fall flavored libation, can we talk about something seriously scary?? I’m going to pretend I heard you say, ‘Yes’. One way conversations are great like that. So, scary FACT – Thanksgiving is exactly 8 weeks away. EIGHT WEEKS. Or only 56 short days! I just realized I need to get on my holiday game. Because preparedness is next to Godliness. Okay, how about this lil’ nugget of truth on preparedness – it wasn’t raining when Noah build the arch. 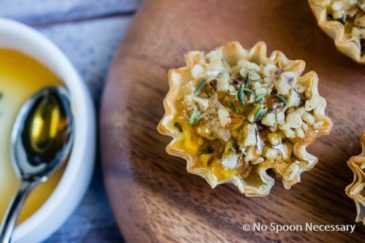 Do you guys have any holiday dishes you’d love to see with a No Spoon touch?? Please, PLEASE share your requests in the comments section below! Alright, now that my type A personality, holiday freak out is covered, let’s drink! Pears! To me they are the waaaaay underappreciated early fall fruit. Everyone is in such a hurry to pick some apples or pluck some pumpkins that they forget about the humble, yet delicious pear. Well friends, today we are fixing that problem. And adding booze for good measure. 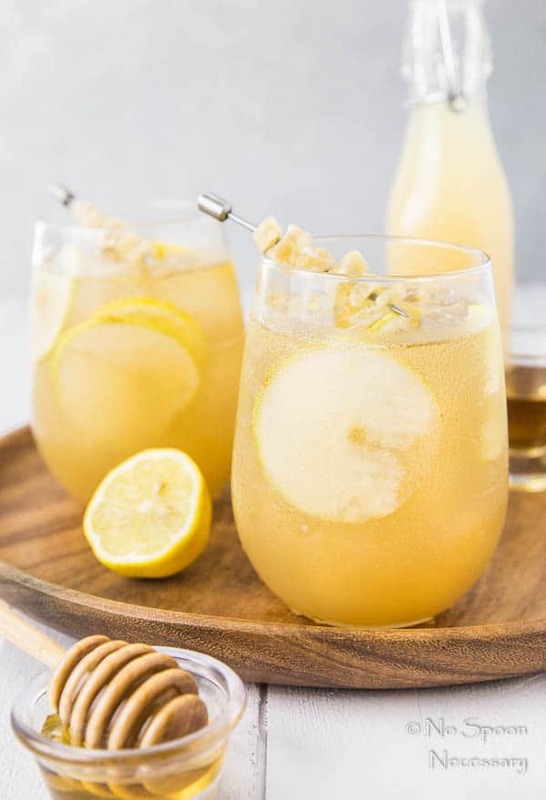 With mellow, fruity pear; warm, cozy ginger; subtle honey sweetness, a touch of tart lemon and a generous splash of boozy bourbon, this drink is early fall in cocktail form. 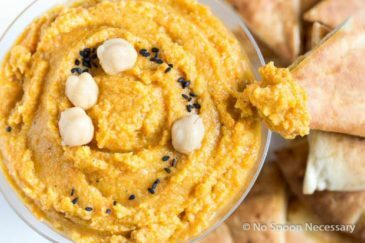 Warm and cozy, yet fruity and sweet – what are you waiting for? Go get your cocktail on already. I mean, I’m pretty sure it’s 5 o’clock somewhere. Always make your cocktails to taste! The measurements in the recipe below are just my recommendations. 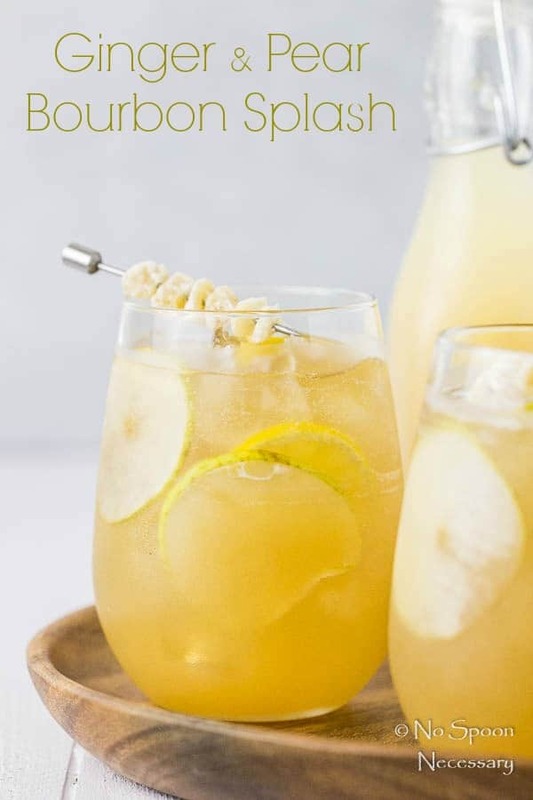 Use the recipe below as a cocktail guideline, and not the Ginger & Pear Bourbon Splash rule book. Like more bourbon? Add more! Like your cocktail sweeter? 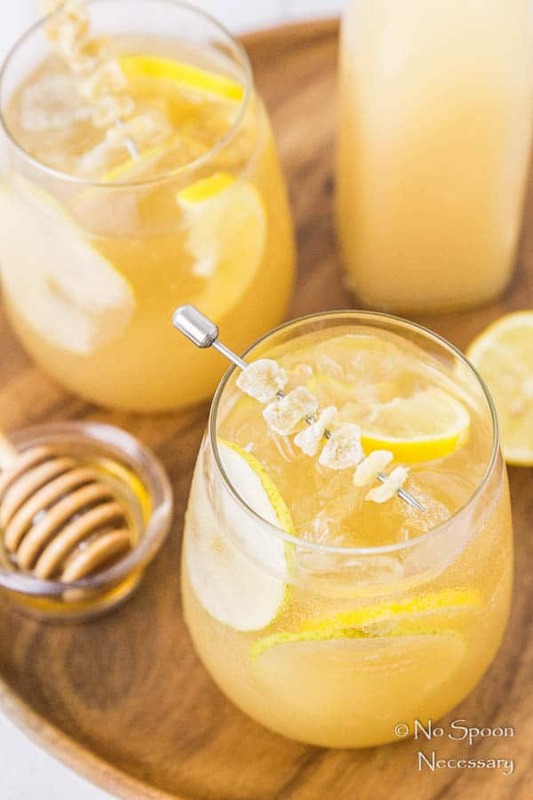 Use a heavier hand with the honey simple syrup. Really love the taste of ginger? 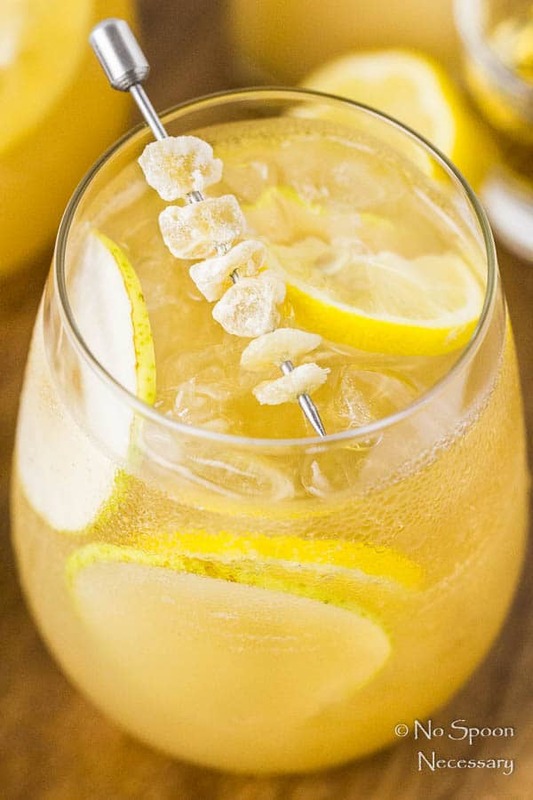 Top your cocktail off with a few ounces of ginger ale. Do you people. If you are feeling particularly lazy, you don’t need to use the stove for the honey simple syrup. You can just use a Mason jar and HOT water. Add the hot water, honey and ginger to the jar and shake vigorously until the honey dissolves. Set it aside to steep for at least 20 minutes before using. 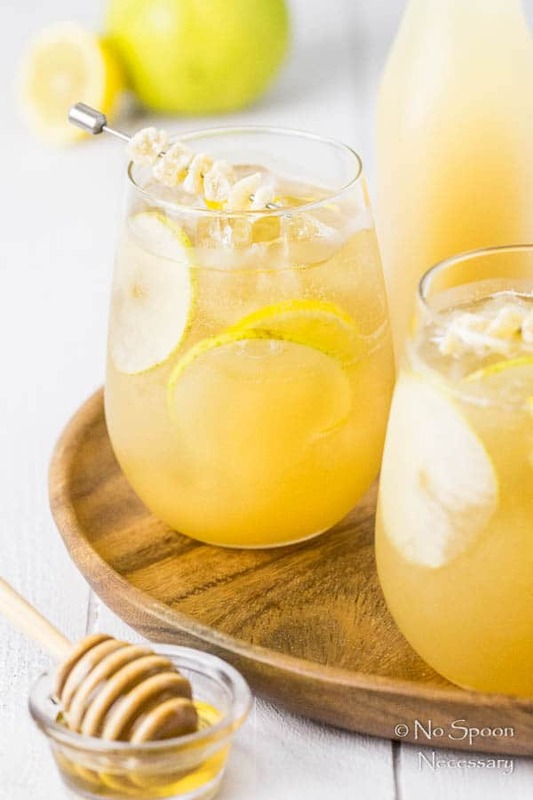 The ginger honey simple syrup will keep, covered in the refrigerator for up to 2 weeks, so feel free to make a double batch. It tastes delicious added to tea. Or, you could just have it on hand for all your bourbon cocktail needs. 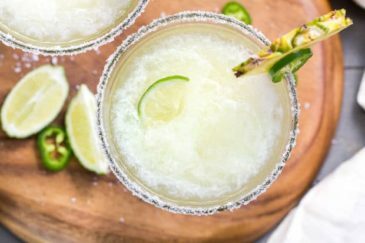 The crystalized ginger garnish compliments the drink perfectly, so if you have some on hand I definitely recommend you use it! 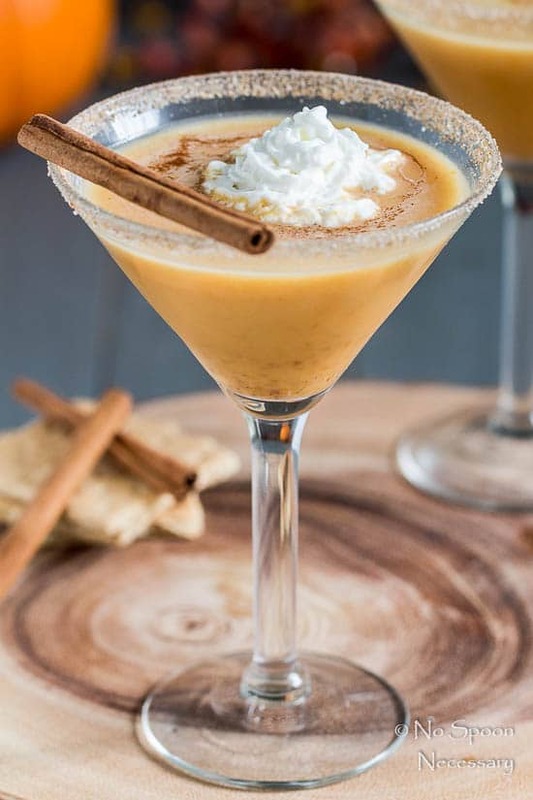 Get your Thirsty Thursday on in early fall style with a Ginger Pear Bourbon Cocktail or two! Make the simple syrup: In a small saucepot combine honey, water and ginger. Bring to a gentle simmer over medium heat, stirring, until honey dissolves into water. Remove from heat and set aside to steep for 20 minutes. Strain into a container, discarding ginger, cover and refrigerate until ready to use. 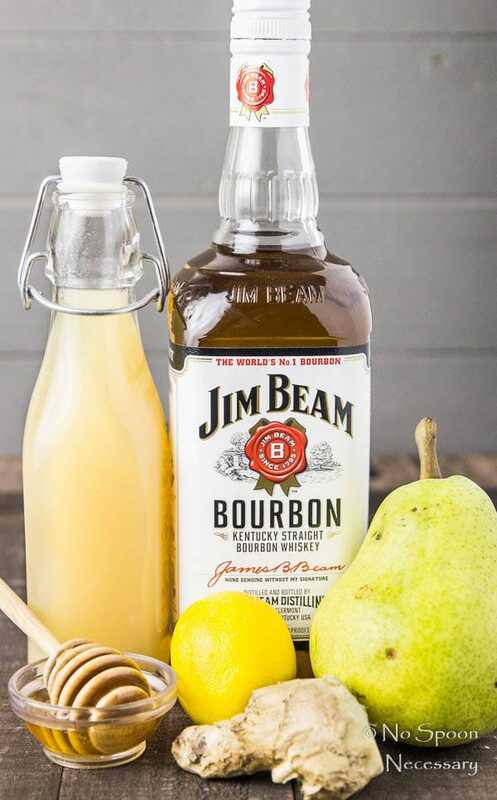 For the cocktail: Combine bourbon, pear juice, lemon and simple syrup in a cocktail shaker with ice. Vigorously shake until chilled. Pour over ice in glass and top with a bit of ginger ale. 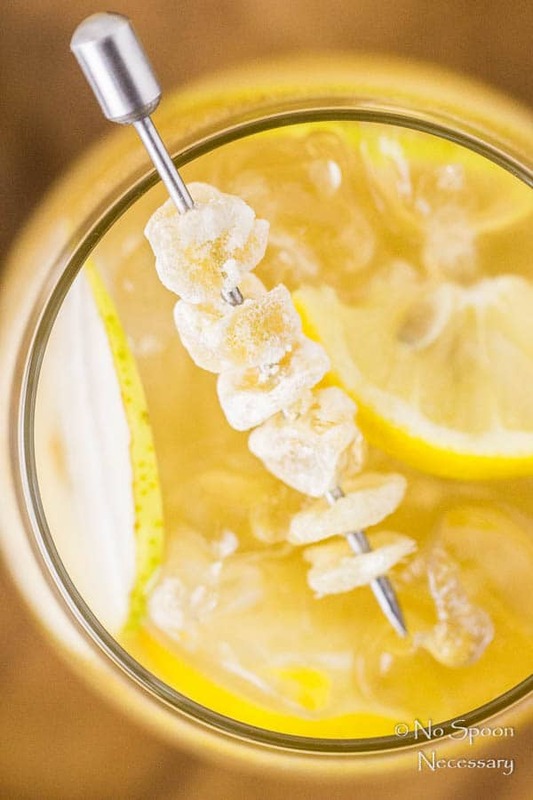 Garnish with pear slices, a lemon wedge and a few pieces of crystallized ginger on a skewer. 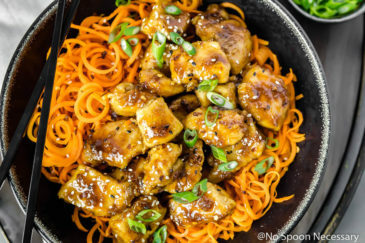 *Ginger Honey Simple Syrup will keep, covered in the fridge for up to 2 weeks. *Nutritional Information is for one cocktail and does not include optional garnishes. This was good – but I felt like the ginger ale and bourbon completely overwhelmed the delicate pear flavor. The ginger honey simple syrup is excellent. I made extra and will look for other uses for it. Pear liqueur / vodka / pear nectar with the syrup the pear taste really comes through. 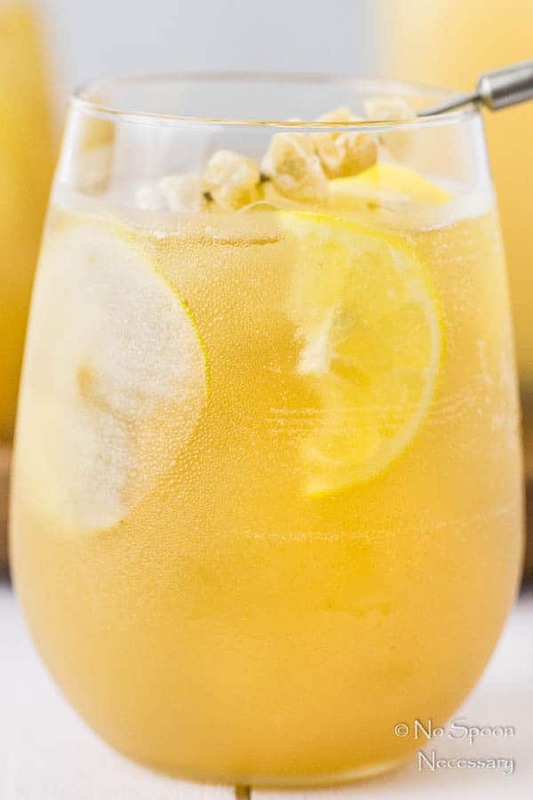 This isn’t a pear cocktail, so the pear flavor is meant to be delicate. The ginger ale is to be used to taste and I only add a splash to finish the cocktail off at the end, which should in no way overwhelm any flavor. Glad you enjoyed the simple syrup and your vodka cocktail sounds great. Cheers!